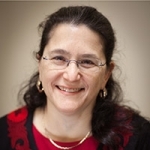 Naomi Bar-Yam, ACSW, Ph.D. has been working in maternal and child health for over 25 years as an educator, researcher and writer, in the US and overseas. Areas of special interest include breastfeeding, milk banking, ethical issues in perinatal health. Naomi is the founding director of the Mothers’ Milk Bank Northeast, providing safe donor milk to hospitals and families throughout the northeast. She is the Current President Board of Directors of Human Milk Banking Association of North America. Today, there are multiple forms of human milk exchange: non profit milk banks; for profit companies selling human milk products; private milk sales; private milk donation. Milk exchange in all its forms raises numerous ethical concerns that we as a society must begin to address: assuring safety of milk for those receiving it; protection of mothers and babies supplying milk; allocating a scarce resource, making this resource less scarce. Successful infant feeding is crucial to the survival of babies and the human race. Throughout history and across the world, societies have had to address alternatives to maternal breastfeeding. We will present an overview of the history of infant feeding, including the forces involved in the decline of breastfeeding and wet nursing and the rise of “scientific” infant feeding, commercial infant formulas and milk banking. We will also define and discuss milk kinship practiced in Islam and throughout the Far East and Middle East. We will cover as well the forces and organizations involved in the rise of breastfeeding, milk sharing, and milk banking over the last 2-3 decades, and the social, economic and commercial forces impacting infant feeding today. We will conclude with a discussion of how history can help us understand and influence future trends. As the research on the importance of human milk increases, the use of donor human milk for premature, fragile babies is likewise increasing, New milk banks are being established all over the world. This development raises many practical, research and ethical questions. This talk covers: i) current research on the benefits, challenges and appropriate uses of donor human milk; ii) safety of pasteurized donor human milk; and iii) practical aspects of using banked human milk in NICUs and other hospital units.